Siegfried is a German boy name. Meaning “victory of peace”. It is composed by the Germanic elements “sigu” (victory) and “frid” (peace). Siegfried was a hero from Germanic legend ‘Nibelungenlied’. 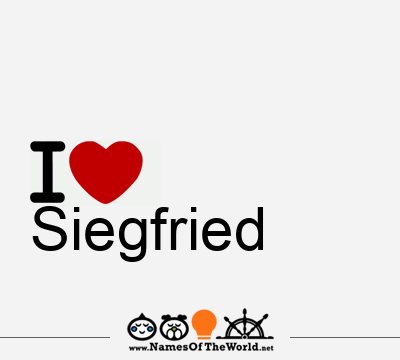 Download the image I love Siegfried and share it in your social profiles, web o blog! Do you want an image of the name Siegfried in arabic, chinese, gotic, etc. letters? Go to Picnames.com and create your own signature!